This campaign ended on December 31, 2018, but you can still make a gift to Maine Central Institute by clicking here! 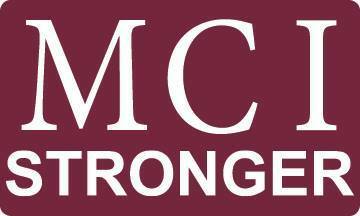 A strong Annual Fund makes MCI STRONGER. In the month of December, the first $15,000 in contributions to the Annual Fund will be matched, dollar-for-dollar, by a group of MCI Trustees. Your gift in December will be doubled! Make a gift – get the MCI STRONGER decal! Watch the message from MCI Trustee Gregg Patterson, a member of the Class of 1969. Gregg and his wife Elaine, also a trustee, are generous supporters of MCI. The Pattersons know when we all give to MCI, we help to deliver excellence in the classroom, in the arts, in athletics, and on campus for 416 MCI students. Join us on the DRIVE TO DECEMBER 31. Please give generously. Thank you!